We’re not in Hawaii anymore. Get Him to the Greek may be a Forgetting Sarah Marshall spinoff, but this is a different movie entirely. Whereas the original was the tales of a lovesick man’s effort to shed his sorrows, Get Him to the Greek is one in which the main character opts to embrace his vices, making for a much wilder ride. The film still retains the spirit of the first, but we’re in Aldous Snow’s (Russell Brand) world now and there are no singing vampire puppets here, only an unruly rock star with the uncanny ability to drink and smoke his way into our hearts. Aldous has no problem in the dating department after breaking up with actress Sarah Marshall (Bell), but sadly his music career is suffering. He and pop star Jackie Q (Rose Byrne) are a music industry power couple until Aldous releases the catastrophic record, “African Child,” landing him at the bottom of every chart, putting his career in the gutter and destroying his relationship leading Aldous to ditch the sobriety effort and bring on the booze full force. Even in the constant haze of drugs and alcohol, Aldous still has the desire to return to his glory days. Moviegoers eat up films about people with superpowers, time travelers and aliens. They’re utterly absurd and therefore can simply be labeled as pure entertainment. But what happens when you take an absurd concept and infuse it with even the slightest degree of pragmatism? Splice happens. It’s natural to want to dismiss a concept suggesting the devastating results of a seemingly possible experiment, but by permitting yourself to absorb it, you’ll open yourself up to a potentially stirring and thoughtful experience. Clive and Elsa (Adrien Brody and Sarah Polley) are a team of top-notch genetic engineers who focus on splicing the DNA of different animals to create hybrid creatures. Splice begins from the perspective of their latest creation, Fred. The duo creates Fred to complement Ginger, a female version of the same organism. The pharmaceutical company backing this whole venture is after a breakthrough protein with the power to cure genetic diseases. This is great and all, but Clive and Elsa are thinking even bigger; they want to throw some human DNA into the mix and really spice things up and take their experimentation way beyond this magic protein. However, the company’s plan only concerns the immediate benefits, not long term potential and their hopes to expand are extinguished – or so the company thinks. 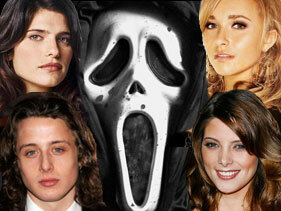 More Scream 4 casting news has arrived and this time, it’s the real deal. Just last weekwe told you about Lake Bell’s early negotiations and Wed Craven’s effort to reel in Ashley Greene, Hayden Panettiere and Rory Culkin. Well, it looks like one of the four isn’t going to be on the set when filming begins on June 28th in Ann Arbor, Michigan because, according to EW, Emma Roberts has officially claimed the role thought to be for Greene. Roberts will play Jill, Sidney Prescott’s cousin and the new Scream heroine. Roberts told EW, “I’m so excited to be part of this ground-breaking franchise.” She added, “It’s the perfect opportunity for me to do something completely different than I’ve ever done before.” What? Hotel for Dogs isn’t your thing anymore? When eight-year-old Michael Stephenson went to work on Troll 2 in the summer of 1989, he and the rest of the cast and crew thought they were making something special. Little did they know that Troll 2 would go on to earn a 0% on Rotten Tomatoes and the title of the worst movie ever made. Surprisingly that didn’t stop people throughout the world from dressing up like goblins, munching on green food and turning what most describe as pure garbage into a cult phenomenon. Now, two decades later, Stephenson is revisiting Troll 2 to explore the heaps of fans who idolize what he once considered his biggest mistake in the amusing yet touching documentary Best Worst Movie. In his mission to accept this mishap-turned-masterpiece and even appreciate its faults, Stephenson stays behind the camera most of the time, ceding the spotlight to his on-screen father George Hardy. Now a charismatic Alabama dentist, Hardy joins Stephenson on his cross-country trip documenting as many Troll 2 screenings, parties and acts of adoration as possible. Hardy is clearly shocked by the attendees’ enthusiasm, but never fails to indulge in their every request whether it’s to sign a Nilbog t-shirt or even recite his character’s hospitality speech. New Faces Take Over ‘Scream’ Franchise; Will The Alum Be Cleared Out In The Opening Scene? With the “Scream 4” production’s July start date fast approaching, Wes Craven is getting down to business and trying to nab some hot young stars so the “Scream” alum can hand off the franchise to a new generation. As we reported earlier, Lake Bell is currently in negotiations to join the cast and Ashley Greene, Hayden Panettiere and Rory Culkin have all been offered key parts. With Neve Campbell, David Arquette and Courteney Cox set to reprise their roles from the original three films, these new characters clearly must have a connection to one, if not all, of our old friends from Woodsboro. If the deals go through, the most direct of the bunch will be Greene’s character, Jill. Not only is she Sidney Prescott’s cousin, but she’ll also be assuming the role of the film’s leading lady. 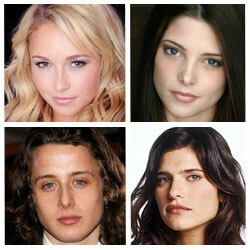 Panettiere’s role is Jill’s best friend, a major movie geek, and Culkin would play Jill’s love interest. The closest to sealing the deal is Bell, who will play a police officer Sidney knows from her high school days. Let the Scream 4 casting rumors begin, and begin with a bang at that. According to THR, Lake Bell is in the midst of negotiations and offers have been sent Ashley Greene,Hayden Panettiere and Rory Culkin’s way. But that’s not all–the article reveals the roles they’re going for, and they reveal some juicy plot details. 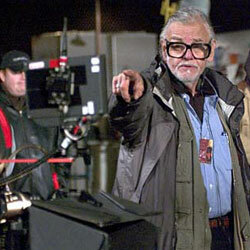 Much of the team from the first film–Wes Craven, Kevin Williamson, Neve Campbell, David Arquette and Courteney Cox– are returning, which means the newcomers have to be tied into the characters we know. If all goes to plan, Bell will play a police officer who knew Campbell’s Sidney, while Greene gets a juicier role as Sidney’s cousin, Jill, and the series’ new leading lady.